Eid Al-Fitr, Eid Al-Adha, Gergaoun, Heya Beya, observations of Muharam, Ashura and Nasfa are also mentioned. In this book, I also introduce local Bahraini food, like Machboos, Mashkhool, Momawsh, Harees, Saloona, Aseed, Balaleet, Gimat, Mahalabiya etc. Plus point, recipes are also included in case the Chinese readers would like to try making the dish. The famous spots as Tree of Life, Oil No.1, Qalat Al Bahrain etc are for sure mentioned, and also how local people spend time in Malkiya beach, Desert camping, farmer’s market, Al Dar Island, horse racing…etc. How long did it take you to write this book? What kind of research did you do, and how long did you spend researching before beginning a book? For writing, it took me around one year. However, for collecting the data, it took me around 8 years, as I visited villages for interviewing and attending yearly festivals to make sure the information in my book is correct and without stereotype. Here, I would like to especially thank Beverly Ann West and Rehab Madan for their kind helping me in working on this book. Beverly is a talented photographer, from South Africa. Nothing tells better than lively photographs. Her marvellous pictures make this book attracting. Rehab is local Bahraini young lady. She taught me how to live and eat as a local, also introduced the rich culture and good tradition of Bahrain to me. Honestly speaking, I don’t know who is the girl. This pic is among the thousand masterpieces of Beverly’s collection. The publisher liked it a lot and put it as cover. This picture was taken in 2015 during Heya Beya at Zallaq Beach. 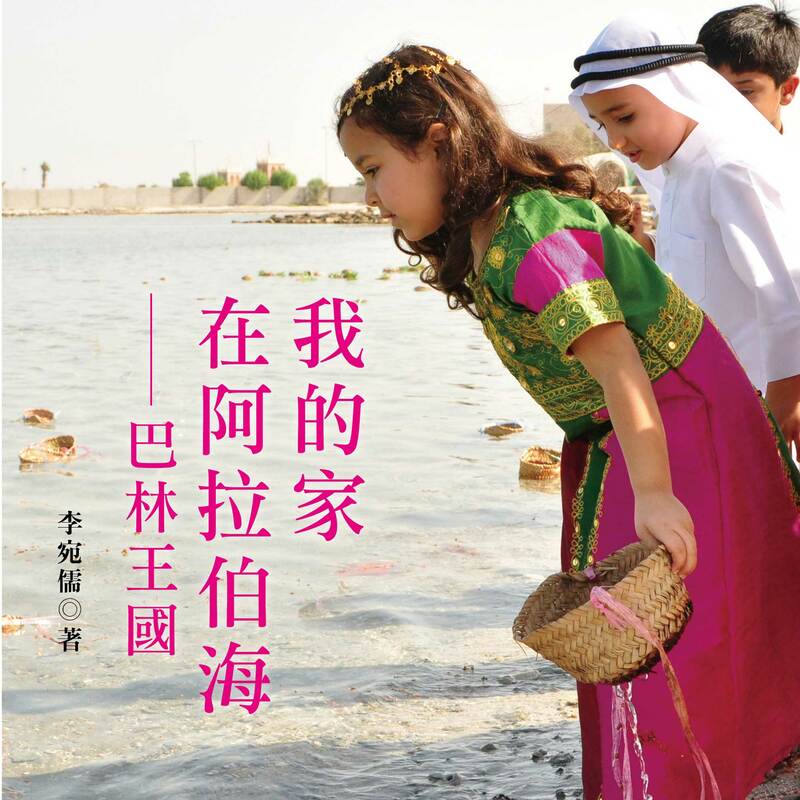 If you are the cover girl or happen to know her, will appreciate if you can contact me by emailing [email protected] This pretty girl is widely loved and representing Bahrain in this Chinese book. body of work with connections between each book? This is my 2nd book. My first book is about Arabic dance, “Slim Body Raks Sharqi”. For me, writing is alike homework given by God. My major is Middle Eastern Studies. I will continue writing more to explore the good culture and value which I saw from this land. Meanwhile, I do have plans to move to my 3rd book to talk about the stories of women from different Arabic countries. Far from outside world, people tend to have a lot of wrong ideas toward Middle Eastern countries, especially toward women. Whenever seeing a picture of women wearing Abaya, a stereotype of being oppressed, no equal right with men, low social status, is often misunderstood based on western points. I would like to have the ladies speak on their own to break the prejudice. Writing is one of the methods that I use to express my love toward the Middle East. Music, dance and art also offer other methods. I established the Middle Eastern Culture Association at Taiwan in 2002. I have my own dance school; that teaches different dances and music from the Middle East, also Bollywood. Every year, we put a theatre show combined with drama to introduce different Middle Eastern culture to Taiwan. For me, no matter writing, music, dance or art, as long as people can love the Middle East, I will continue working on it. Bahrain is a culturally advanced nation, Because of Bahrain, I started to know excellent groups, like Caracalla (Lebanon), Enana(Syria), Mahmoud Reda Troupe (Egypt), Anadolu Atesi(Turkey), Merchant of Bollywood(India) and many more. During the past week of National Day celebrations, I saw Ardah, Liwa, Yowla, Fijri, and girls’ Khaliji dance in events. I really enjoy everything I experienced here. I would like to say. Thank you, Bahrain for opening your arms to expatriates friendly. And thank you for letting us call Bahrain home. Next articleYou Are What You Eat!